Only a few years ago it seemed like Facebook and Google alone were battling it out to win the social network war. The structure of the internet was clearly changing, away from being centred around pages, and towards being centred around people, and both companies knew it. It was an obvious development; humans are a deeply social species. Our lives orient around interactions with others and the internet would clearly map to that. For its first 10-15 years, the internet was simply catching up with offline life. During that time I worked at both Google and Facebook on social products, and while we all knew the restructuring of the internet around people would be profound, most people assumed it was a zero-sum game. That people only wanted one place, one tool, to communicate with family and friends. On the contrary, we’ve since seen the rise of over a dozen messaging apps with over 100 million monthly active users. The landscape today looks nothing like what people thought it would just five short years ago. Most people use multiple messaging apps to communicate with family and friends. 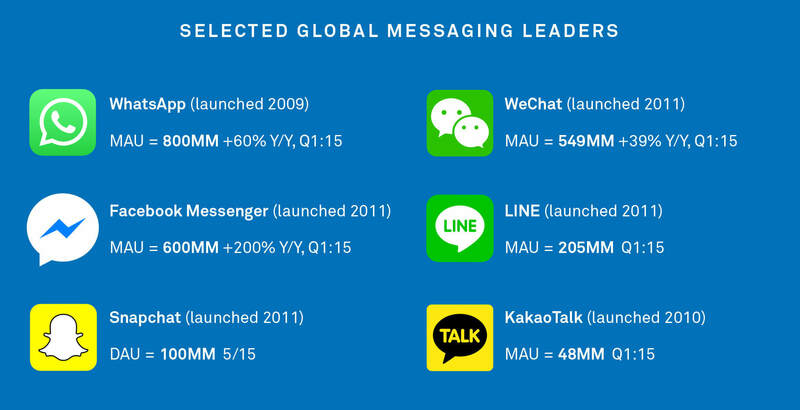 Critically, the number of messaging channels people use is increasing, not coalescing. Different messaging providers are better for different things, and people use different messengers to talk to different groups in their life. Business communication works exactly the same way. Businesses don’t use one channel to communicate with existing or prospective customers; they don’t even have a primary channel. They use the channels their customers use, they go to the places their customers are. They send them email, they have a Twitter profile, a Facebook page, they talk on the phone, and they talk to them when they are using their website, product, app or service. 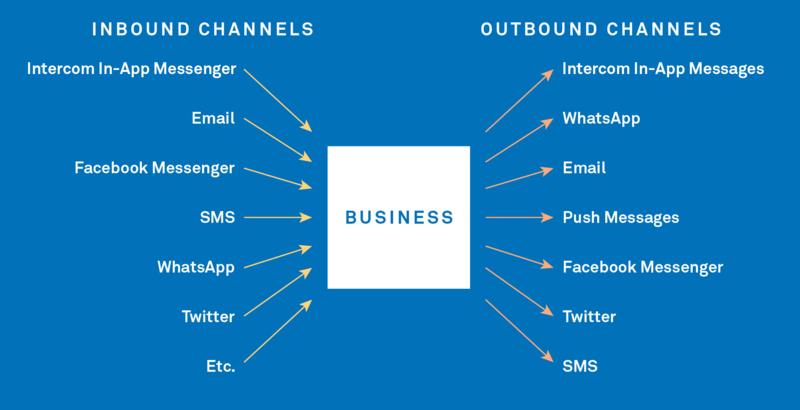 There are many channels for communicating with prospective and existing customers and as with consumer software, the number of channels is increasing. This is why no provider of a single channel will ever be the hub for all of a business’s communication with customers. Facebook will never be the hub. Twitter will never be the hub. Facebook and Twitter are both spokes in the world of customer communication. Any provider pushing their single proprietary channel are kidding themselves. The other problem with a single proprietary channel is that each of these providers only has a small view of any one person. Facebook knows what that person said to a business on Facebook, but not when they mention them on Twitter. Just like the first phase of the internet didn’t map to real life interaction, this does not map to real life customers. Businesses don’t want all these siloed views, they want one central view. The future clearly lies in a central resource for customer communication. A place that connects to all the customer communication channels and integrates seamlessly with them. So that when you message a customer on Facebook, and they message you on Twitter, you know it’s the same person. When someone is upset with you on Twitter, you don’t send them a promotional message or ad on Facebook. These different communication channels also have different properties. They tell you different things about someone. The most powerful channels are the ones that capture people’s actual behaviour rather than things they say. For any internet business their website or app is likely their most important channel. In-app messaging means customers get messages that are in context with what they are doing. The messages are based on their behavior. If they have a problem with your product, it’s likely that they are using it when they had the problem. Where better to allow them to message you than in the product itself. None of the single channel providers have a view into this world. When a customer contacts you inside your product, neither Facebook or Twitter know about it. Their picture is very incomplete. All this points to one outcome. That a single, channel-agnostic tool for customer communication will win. One tool that connects to all the others. One tool with one central record of a customer. We hope that tool is Intercom, with Facebook and Twitter as important channels. But either way, Facebook and Twitter are simply that – one channel of many.